This page I will try to help you understand the role of ab exercises for lower back pain prevention, but remember that lower back pain is complex. To get an overview of what might cause lower back pain, read my page on causes of lower back pain. The abdominal muscles play a role in preventing lower back pain, and they can also help to alleviate certain types of back pain. #2 To Move the Pelvis and lower back. The abdominal muscles pull the spine forward like in a crunch (flexion), tilt the spine to the side like in a side bend (lateral flexion) and rotate the spine to the sides like in oblique crunches. In addition to moving the spine, the abdominal muscles also help to brace and stabilize the pelvis and lower back. The most important abdominal muscle for stabilizing the lower back may be the transversus abdominus. The transverse abdominus is a deep abdominal muscle that does not move the spine. Its only function is to stabilize the lower back. In healthy people with no back pain, the transversus abdominus contracts to stabilize the lower back before the arm or leg muscles contract to move your body. Your body is wired to be stable around the core first before moving second. Physical Therapists use the drawing in maneuver to re-train the deep core muscles. When a therapist or trainer says pull in your abs during ab exercises, they are cueing you to engage the transverse abdominus. Re-training the deep core muscles is important for staving off back pain, but there is also a role for traditional ab exercises and lower back pain. When you do crunches and leg raises or other traditional ab exercises, you really focus on strengthening the outer unit of the core. The function of muscles of the outer core unit is movement. The rectus abdominus (6 pack) and obliques are the ab muscles that help to move the spine. In addition to moving the spine forwards like in a crunch, the abdominal muscles also prevent the spine from moving too far backwards and prevent your lower back from arching too much. This is one of the important functions to protect your lower back. When your lower back arches excessively, extra pressure is placed on the cartilage that lines the joints in your lower back. Having strong abdominals helps to prevent back pain, by stabilizing the pelvis and lower back and preventing the lower back from arching too much. Doing ab exercises is important for preventing lower back pain, but it is only one part of the story. 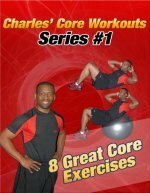 This is just a brief overview about ab exercises and lower back pain, and I want to emphasize that ab exercises are only 1 part of the solution to protecting your lower back. This web page is only for educational purposes and is not intended to diagnose or treat any injuries. My advice is that you see a licensed health professional is you are suffering from lower back pain. Also, to get additional understanding of ab exercises for lower back pain prevention, read about 6 Causes of Lower Back Pain. I hope that gives you a better perspective on the role of abdominal exercises and back pain.